Plesetsk. The picture comes from a publicity brochure for the Plesetsk cosmodrome. 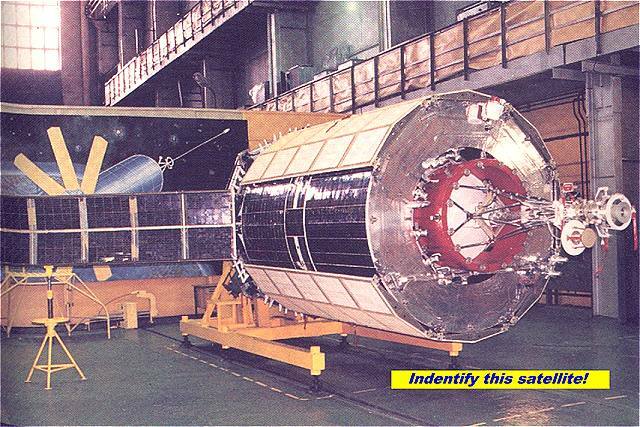 The numeric code for this spacecraft is 11F666 and it is designed by NPO PM in Krasnoyarsk and built by AKO Polyot in Omsk, the builders of Tsikada, Nadezhda and Glonass satellites. The orbit of these satellites is 1490-1505 km at 82.6 degrees or 1480-1526 km at 73.6 degrees inclination. These satellites transmit broadband PCM-FM signals on 150.3 MHz and a CW carrier on 400.8 MHz. We still have not seen any signs of this new satellite.